Join us for a last-minute Christmas Party presented by: Open Source, White Oak Music Hall, and special guest Cory Jordan! 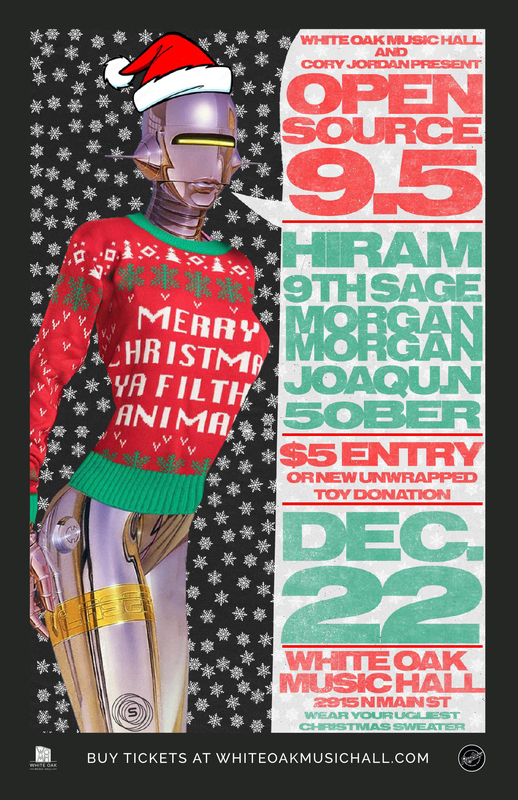 For everyone whose lame company didn't throw them a Christmas Party (and people who just want to party in general), come join us for the WOMH Christmas Party, where Open Source DJs will be spinning originals and favorites till the wee hours of the morn'. Not just a group of DJs, Open Source is a Houston-based collaboration bringing together music, visuals, technology, and good-old-fashioned creativity. 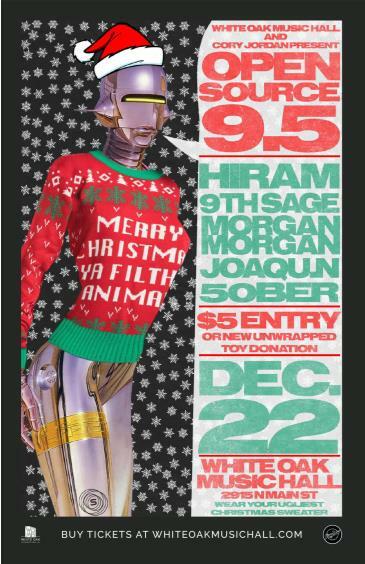 Wear your ugliest (or loudest) Christmas sweater, or come as you are and come hang! Admission is just $5 or a new, unwrapped children's toy that will be donated to charity just in time for Santa!